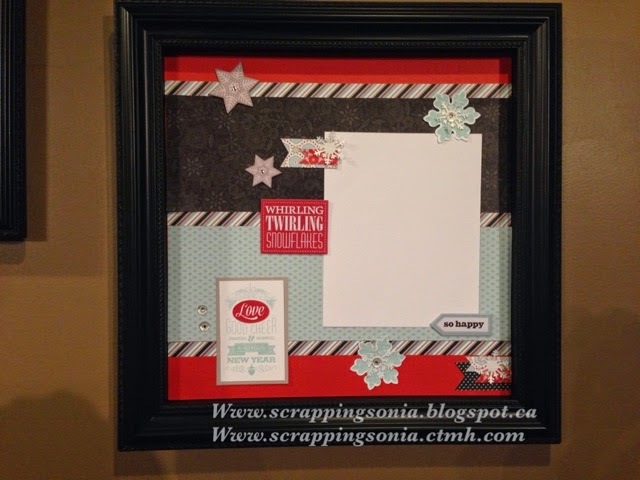 Scrapping Sonia's Paper Projects: Hearts of the West December's Snowhaven blog hop. 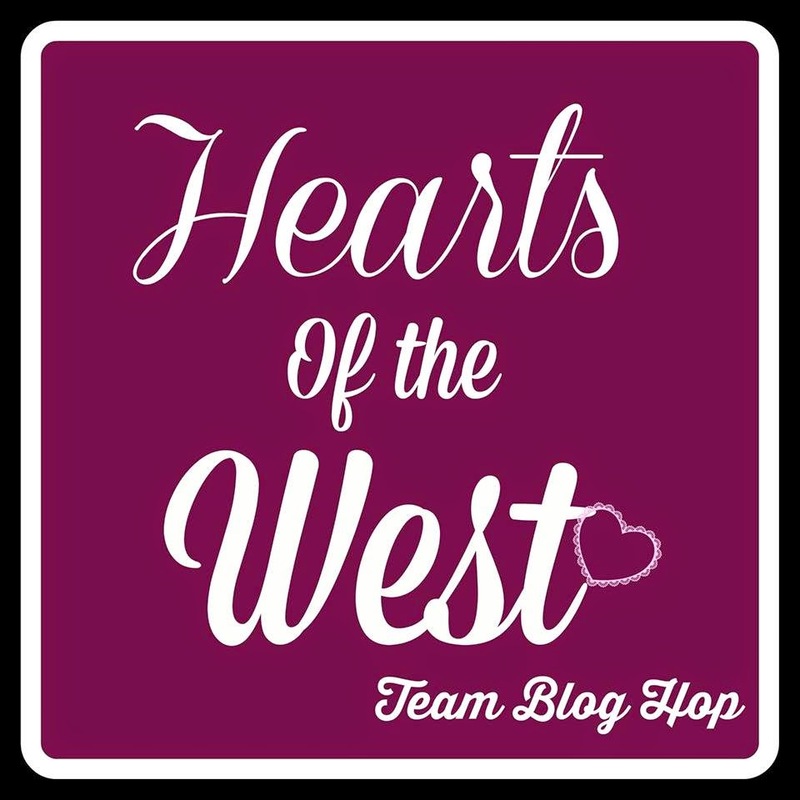 Hearts of the West December's Snowhaven blog hop. This months challenge is Snowhaven paper pack, brought to you by the new Annual Inspirations, hand picked by Nancy Klein. I made this layout with the rest of the paper I had left from my kit after making the other projects. I used the Snowhaven complements X7188C, some silver sequins Z2013, and some bitty sparkles Z1263. I also used the stamp set from the workshop on the go G1085. I displayed my layout in the Design decor black shadow box Z2015. I made this layout using pattern 7 from Make it from your Heart Vol 1 (9035). To decorate my layout, I used the Snowhaven complements X7188C, some silver geometric washi tape Z1932, silver sequins Z2013, and some bitty sparkles Z1263. I also added some large pearls on the snowflakes. I made this card using a stamp from Be Jolly hostess stamp set B1455, a stamp from the workshop on the go stamp set G1085, some bitty sparkles Z1263, and a red enamel heart Z2009. 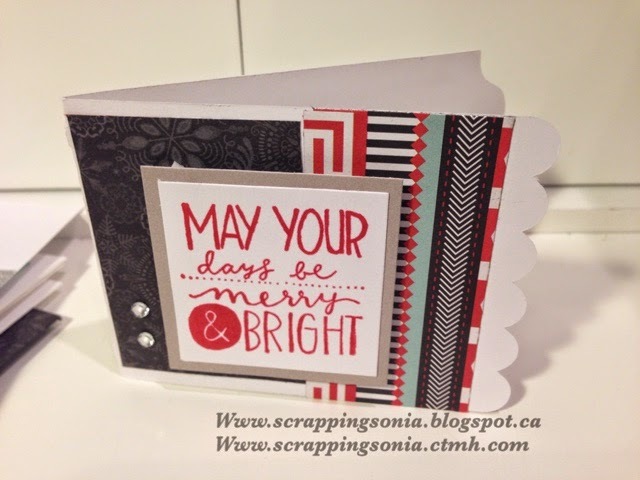 I also used the stamps from the workshop on the go G1085 to create this card. I used the Artiste Z1790 to cut this Gift card holder. I used the Be Jolly B1455 Hostess stamp set and some bitty sparkles. Your next stop is Terry's Blog. Love the frame! What did you use to make the poinsettia? The frame is very nice. The cards are very nice as well. I love this, the dry embossed poinsettia is so cool. What a great set! Love the layout and the cards! What stunning projects! 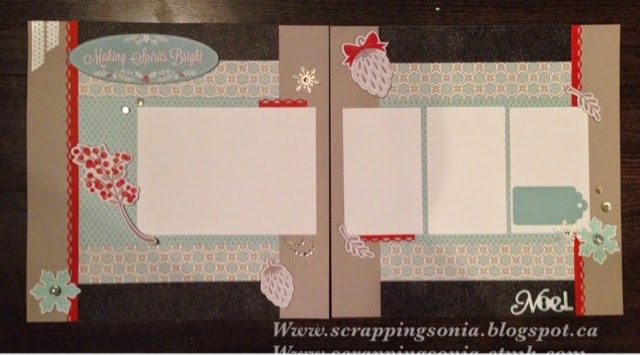 I love all the snowflakes on the layouts and I love how you layered the papers on the cards. Absolutely beautiful layout and cards! 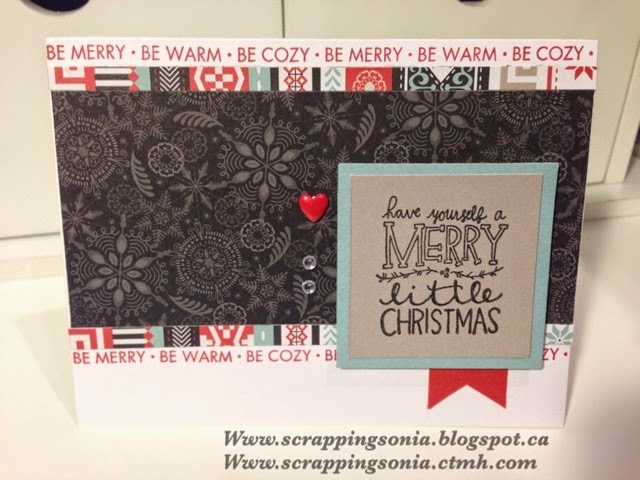 Thanks for sharing Sonia!